Choosing the right type of red wine can make a huge difference when making sangria. Medium-bodied reds are a great choice, as they are some of the most food-friendly wines and work well when you add fruit, additional sugar, and other types of liquor. They also aren't too acidic or tannic. A majority of the most recommended wines for sangria come from Spain, but if you aren't a fan of Spanish wines, there are some other options that will also work well. 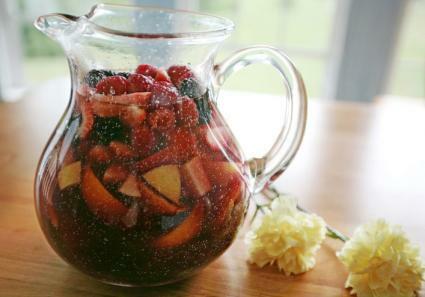 Spain first introduced sangria to the United States at the 1964 World's Fair in New York. Not surprisingly, most people in Spain use Rioja or another Spanish red blend. Like many other noted recommendations, The Food Network recommends a medium-to-full bodied wine, such as a Rioja, since it's from the "sangria homeland of Spain." Grapes that typically make up a Rioja blend include Tempranillo, Garnacha, and sometimes Mazuelo and Graciano. 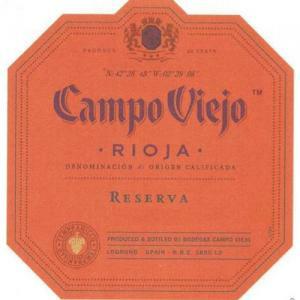 The Spruce recommends Campo Viejo Rioja Reserva as an option, especially if you want a strawberry or raspberry sangria. Wine.com carries this for around $13, along with a Gran Reserva option for $22. The Kitchn recommends using a Garnacha (Grenache from Spain), as they have lots of ripe red fruit flavors and decent acidity. Garnacha is also low in tannins, which is a plus. 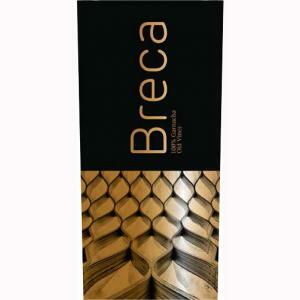 Vine Pair recommends a Bodegas "Breca" Garnacha Old Vines if you're on the hunt for a Garnacha. They note this works well with darker-end spectrum sangrias, like those made with crushed blackberries, fresh mint, and pomegranate. Wine.com has the 2013 varietal for about $15. Food & Wine Magazine recommends an inexpensive Tempranillo as well, because they tend to be herbier and spicier, making a good base for red sangria. Tempranillo is typically the main grape in a Rioja blend, which is why it's also a good choice if you're looking for another option. BayArea.com gives a nod to Vina Zaco Tempranillo as one of their top picks for sangria red wine for under $15. Total Wine carries this for under $13 a bottle. Martha Stewart recommends Beaujolais Nouveau for another red sangria option. Food & Wine also seconds Beaujolais Nouveau as an option, especially for a spiced Christmas sangria. Beaujolais is a region in France, and the wine is made with Gamay grapes. Primary flavors are typically red fruits like cranberry, tart cherry, and raspberry. Beaujolais Nouveau wines have low tannins, and some of them can be on the higher acidity scale, so take that into consideration for what types of fruit you plan to add. Wine Enthusiast Magazine picks a Thorin Beaujolais Nouveau, which can be a bit harder to track down. French-Export-FV has it for about $9 (based on current exchange rates). Remember, Beaujolais Nouveau is only released once a year in November, soon after the harvest. If you don't want to have wine shipped from Europe, places like Total Wine have a decent selection of Beaujolais wines. Bonarda may be a wine you aren't necessarily familiar with. It's originally from Italy, but primarily seen in Argentina these days. It is still somewhat unknown, but some wine experts recommend this hidden gem for sangria. Wine Turtle names it one of their best pics for red sangria. You can find it blended with other grapes, or as a 100% single varietal. Bonarda wines offer rich plum and raspberry flavors. Total Wine carries several Bonarda wines, including a Cruz Alta Bonarda Reserve for under $13 a bottle. 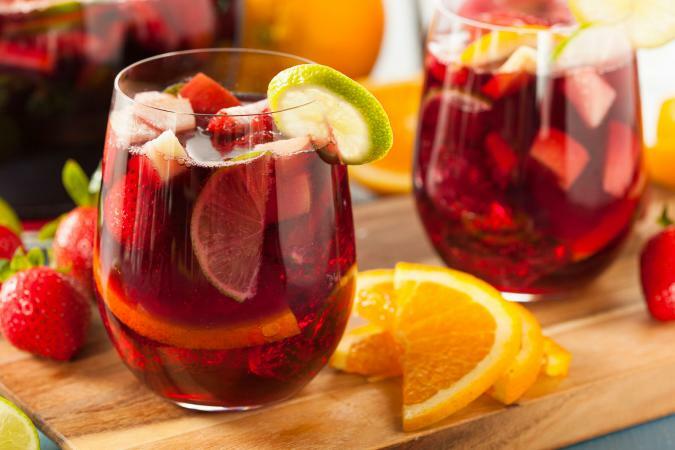 With hundreds of recipes available for sangria, it really comes down to personal preference and what type of fruits and mixers you plan to add. Just remember, wines don't need to be expensive when making sangria. In fact, inexpensive wines are often better alternatives as you are using it as a base for a "punch." Choose a wine that you wouldn't mind drinking on its own. If you wouldn't drink a particular wine straight out of the bottle, it's not going to necessarily taste any better in a sangria. Make the sangria the night before if you can, as this allows the red wine of choice to really blend together with the additions. Chilling the wine ahead of time can help keep the wine from melting the ice too quickly and diluting the flavors.